Sun Country airlines CEO Jude Bricker says his company should have flown a "rescue flight" to Mazatlan last weekend to pick up the airline's stranded customers and will cover the extra costs those "rightfully frustrated" travelers were forced to pay to get home after Sun Country abandoned them in Mexico. In an email provided by Sun Country, Bricker told the airline's staff they hope to contact all the passengers left in Los Cabos and Mazatlan after blizzard conditions closed the Minneapolis-St. Paul International Airport and canceled the airline's last flights to Minnesota for the winter vacation season. Bricker said the stranded passengers would hear from the company by the end of Tuesday that the company will refund the entire cost of their tickets plus "any additional reasonable transportation costs they incurred in excess of their original Sun Country roundtrip fare" including taxis, shuttles or "any reasonable transportation costs required to get them to and from the airport." It was the most significant communication yet from the airline, which previously apologized for the disruption and promised refunds to fliers — some of whom said they had yet to see their money, days later. Others reported paying thousands of dollars to get their families at least close to home on other airlines. Bricker said Sun Country canceled 25 flights at the height of the storm on Saturday and another 15 on Sunday. He went on to offer a catalog of fumbles and obstacles for the airline. 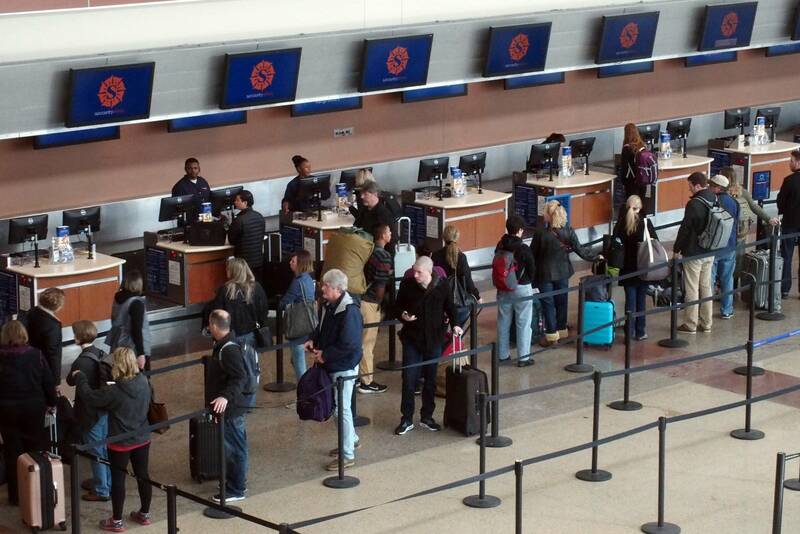 He said the weekend snowstorm kept staff from reaching Sun Country's customer service center, and even staff sleeping overnight in their offices were no match for about 6,000 passengers affected by canceled flights. He said the company's phone system was still offering only busy signals to some callers on Monday. He also said that bookings through travel agents left Sun Country with incomplete contact information for many customers, and a lack of "interline agreements" with other carriers left Sun Country unable to book passengers on other airlines. "Our options to re-accommodate customers on other airlines are the same as their options to re-accommodate themselves and would have taken us much longer," Bricker wrote. "Clearly, going forward, we need to improve our ability to handle stresses to our system like what we experienced over the weekend," he added. "Automation will be central to that strategy."